The midsize car for your full-size life. 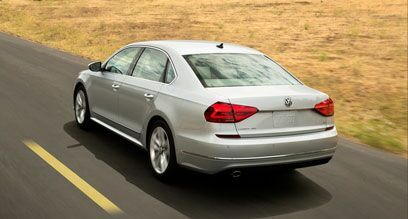 Introducing the new 2016 Volkswagen Passat. With impressive performance, sleeker lines, available LED headlights, and technology tailored to you, it's the midsize sedan that earns its swagger. The power of choice. 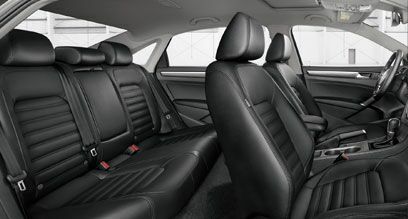 The Passat comes standard with an impressive 1.8L turbocharged engine. For power players, the 280-hp V6 FSI engine delivers when using premium fuel. 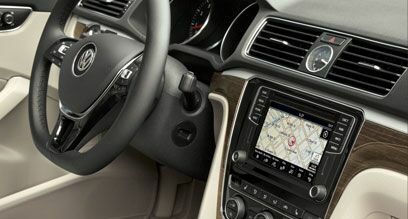 *25 city/38 highway mpg (2016 Passat 1.8L TSI®, 6-speed automatic transmission). EPA estimates. Your mileage will vary and depends on several factors, including your driving habits and vehicle condition. Connect with, to, and from your car. *App-Connect Always pay careful attention to the road, and do not drive while distracted. Not all features availabile on all operating systems. Standard text and data usage rates apply. App-Connect features require compatible device, operating system and mobile apps. See mobile device and app providers for terms and privacy. **Driver Assistance Drive Assistance features are not substitutes for attentive driving. See Owner's Manual for further details, and important limitations.